German silvers benefit that it is harder and has more corrosion resistance than brass. Suitable for gifting on Wedding, Anniversary, Birthday Gift, Corporate or Any other festive occasions. Care Instruction:- Use a soft brush , warm water or clean cotton cloth to dust. 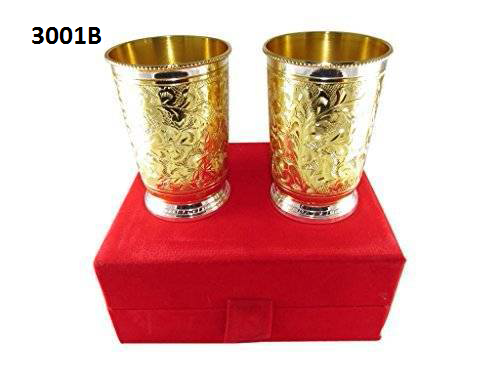 We “Star Unique Handicraft” are recognized as the leading Manufacturer, Wholesaler, Trader of a broad assortment of German Silver & Gold Plated Products, Wooden Handicraft, Brass Items, Gift Items and Unique Hnadicraft etc.